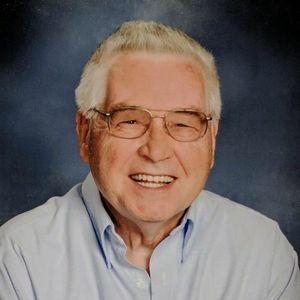 Jim Harbin 81, of Aurora, passed away April 4, 2019. He was born April 11,1937 in New Orleans, LA. He retired from Caterpillar after 32 years. Jim is survived by his loving wife of 60 years, Beverly Harbin; sons, Randy (Kristi) Harbin and Glenn (Michelle) Harbin; grandchildren, Josh (Heather), Kyle, Angie (Niki), Brandon and Catie; great-grandchildren, Nickilous, Scarlette, Everett and Alex; sister-in-law, Carol Eschenbacher as well as several nieces and nephews. He was preceded in death by his parents, John and Maddie Savanyak. Visitation will be held on Monday, April 8, 2019 from 9:30 AM until time of service 10:30 AM at Faith Lutheran Church, 3000 Liberty, Aurora, IL 60502 with Pastor Rob Douglas officiating. Burial to follow at Lincoln Memorial Park.